Are you frightened of speaking in public? If so, then you’ll be pleased to know that you are not the only one! Research has found that speaking in public is the number one fear for most people. It comes even higher than the fear of dying. So quite literally, people would rather die than be in front of a group of people and speak! There is even a grand name for the fear of public speaking – Glassophobia. The research also found that the number two fear for most people is walking into a roomful of strangers. And third comes the fear of death. My mercurial friend Andy Lopata even wrote a book about this phenomenon – “And Death Came Third” (Amazon USA /Amazon UK). Today in this extra-long post, I am sharing with you what I learnt last week when I spoke in front of 300+ people for 90 minutes. I kept the audience engaged during most of that time and received some encouraging feedback, both straight after my talk and also via various emails since then. The event I spoke to was “The Millionaire Author’s Bootcamp”, run by my friend and book writing expert Stephanie Hale. 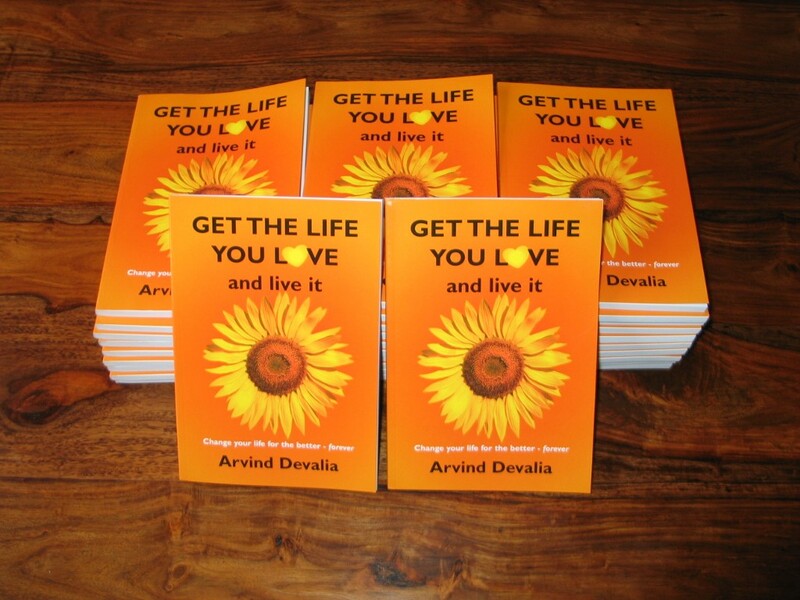 My talk was about how to self-publish a book and make it successful via Social Media as well as offline marketing – it was all based around my best-selling book Get the Life you Love. So you may well ask what the big deal is about me speaking at this event? Well, it was the first time I have spoken on a big stage with such a large, discerning audience, hungry for information and for such a long period. The previous biggest public talk I had done was at an event run by my friend Andy Bargery, the London Bloggers Meetup in a London pub to a group of about 100 bloggers, along with my friend Leo Babauta in April 2011 – and that was only for 10 minutes in front of a friendly and jolly audience. This was also such a big thing for me because believe it or not, at one time I was rather shy and self-conscious! As a young boy, when we had to recite our times-tables in the front of the room, I used to rush through my tables like an express train and couldn’t wait to get back to my seat. At college, I rarely spoke up in lectures and in social settings I was usually the quiet one, letting others lead the conversation. And yet, like all of you, I had so much to offer. Things shifted for me when I trained as a coach and began to put myself out there much more. I threw myself into personal development and part of that involved being in front of people. It was all about letting go of the fear of others and not being concerned any more about what they thought of me. The most challenging thing I experienced around people was at a personal development seminar when we had to look directly into a stranger’s eyes for 3 minutes without wavering. This may sound a little strange to some of you – but it was one of the most amazing and liberating experiences for me when I did this exercise the first time around. The exercise was all about being totally vulnerable and open to someone else and seeing their own humanity and vulnerability. Once I had done this exercise, it became very easy for me to be comfortable around other people. As for being in front of large crowds, I volunteered to be a “mike-runner” at seminars run by Fiona Harrold, one of the UK’s top personal development coaches. I was the person who zipped around the room with a microphone, anytime a member of the audience had a question for the speaker. Last year, I did the same exercise for Marianne Williamson, one of the leading spiritual teachers in the world and it felt great to be on her platform and being completely present to her message. By now, you must be getting an idea of where I am going with this post – YOU too can learn to get over your fear of being in front of people and speaking. It’s all about taking small steps towards speaking in public, and keeping going until one day you are comfortable in doing so. This is the key lesson! If you take away nothing else from this post but remember this point alone, then I’ll have fulfilled my objective for writing this post. Just be yourself when speaking and people will GET you. You have probably heard this many times – and yet so many people fall down at this point when they try and emulate someone else when speaking in public. You are unique – so let the world see just how unique you are. I received a lot of generous feedback after my talk last week – and most of it centred around how genuine and authentic I came across. Now remember that there were 12 speakers at the event over 3 days i.e. 11 other speakers besides me. I wasn’t the most polished or accomplished speaker. I broke almost all the cardinal rules of speaking from a stage. And I didn’t have any experience about selling from the platform. Yet, people got me – and that was because I didn’t try to be anyone else but me. I am not the type of high energy speaker who will get everyone high-fiving every few minutes. It’s just not my style and it’s just not me. However what the audience got to see was my own passion for helping them and contributing in some way to them and to the world. And that’s all I could do – be myself. So you just have to be yourself. You have to find your fire! At the same time, I totally get that there’s a lot of room for improvement in my speaking style, manner of delivery, stagecraft and so on. It all starts with self-belief and knowing that you have something important to share and contribute – and believe it or not, you do have a lot to offer to others. Everyone has a unique life story with its own challenges and triumphs and that alone makes it worth sharing. Pick out your key learnings and share them with others in an inspiring way. Believe in what you have to say and what you have to offer. Value your products and services – remember that what you do will inspire others and change lives. 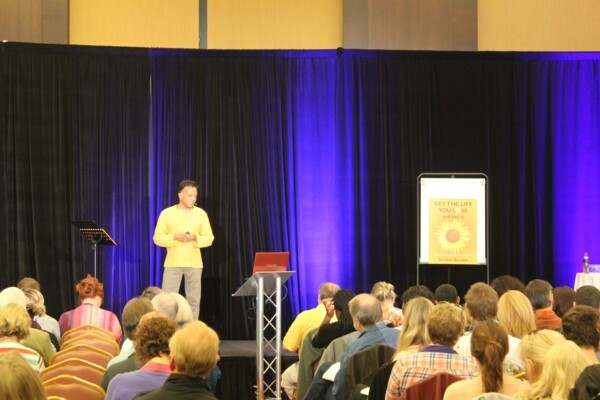 (If anything, I undersold myself as my up-sell offer at the end of my talk offered terrific value when compared with what the other speakers over the weekend were offering). At the same time, when you are on stage in front of a large audience, it’s only natural to be a bit nervous – but no matter how daunting it may seem, remember to feel the fear and change the world anyway. So go ahead, find your voice and strut your stuff! All communication ultimately is about connecting with others at a deeper level – and this is no different when speaking in public. I shared my story of how experiencing unconditional love for the first time changed my life forever – this was at an orphanage in South India. I ended my talk with a video of Nirvana School – and there was what felt like pin drop silence interrupted by a couple of people in the audience sobbing away. I clearly touched and moved them in some way. One woman even ran out of the room crying her eyes out after she watched the video. She handed me her business card and she had scrawled on it how I had changed her life in 90 minutes! She met me afterwards and hired me to coach her through her own book journey. And all because I touched her at a deep level. Remember – a speech can change a life. The key is to connect with others at a deeper level – and then you just let the magic and miracles take place. Always remember that YOU are an “expert”! The realisation that over 300 people had turned up early on a sunny Sunday morning to listen to my talk strangely didn’t put any pressure on me. And that was because I knew I had a lot of useful information to share with them. If you know your stuff and you are confident about putting it across well, then you are certain to shine on any speaking stage. Also, knowing that most of your audience would rather die than be in your shoes on the stage makes it easier to know and accept that you are an expert and you have something useful to share with them. Of course, it goes without saying that you have to know your stuff! But you don’t need to be a world authority either – just enough for the needs and expectations of your audience. The most amazing thing about speaking in public is how through your stories you can dramatically change someone’s life. People can be inspired to do things in a different way – and their life and the world will never be the same again. I shared the story of how my first book got published after I ran a fundraising event for Comic Relief in my local coffee shop in St Johns Wood, Central London. I was even coerced into putting on the red wig again on the stage! That day of making a fool of myself with a red wig all for a good cause ultimately led to my first book and then the second book – Get the Life you Love. A classic example of giving and then receiving much more back! People love stories – so share your stories of the ups and downs of your life – and how you overcame the sort of challenges they might face too. Show them how they can also overcome similar challenges. 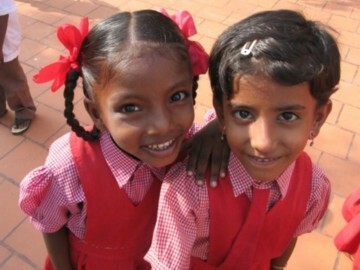 Share your stories – educate, inform and inspire others. When you genuinely come from a place of wanting to contribute and help others, magic happens! About 10 minutes into my talk, according to a friend in the audience, I visibly relaxed and it felt like I was in the flow. Looking back, I remember no longer feeling nervous at all and my voice also became more confident. At that moment, I felt really privileged to be in front of all these people and able to help them with their own book publishing and marketing journeys. Somehow, I got into the flow and I put myself out of the picture. So look at how you too can bring this mentality into your own public speaking. I was lucky in a way that the scheduled slot for my talk was for Sunday morning at 9.30 – the time when some of the people in the audience would have normally gone to church:-). This allowed me to attend the previous two days to learn from the 8 speakers who were speaking before me. And I learnt a lot from their different styles, energy, authenticity and overall persona. I felt empowered to know that I was going to be on the same stage as them. So take up all opportunities you get to see and hear other public speakers in action. By just learning one thing from each speaker, you’ll soon build up your own skills and confidence. Just get started on your ladder of learning and take one step at a time – you just don’t know where your speaking career is going to take you. 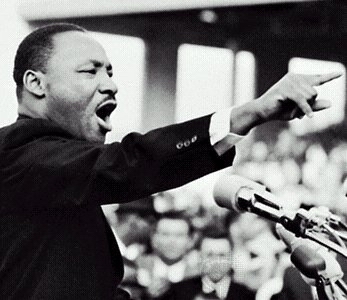 You can also study and learn from some of the great orators of our time such as Dr Martin Luther King. It goes without saying that you have to prepare your talk – but I’ll say it anyway:-). For my presentation, I had over 100 slides to get through in 90 minutes and though I got through them all, in hindsight this was far too many. The slides stopped me from engaging much more with the audience. Also, looking back I would have rehearsed my talk a lot more than I did but having been through the slides many times, I had a very clear idea of what I was going to cover in my talk. In your case, do prepare thoroughly and before your event, do find a trial audience to rehearse in front of. Ask for critical and specific feedback. I am truly honoured and privileged to have had so much help from so many people before, during and even after my presentation that helped me with my debut on the big stage. My friend Kavit Haria gave me critical feedback into my presentations slides and my mentor Philip Khan-Panni, who was also in the audience, emphasised the need for one strong coherent message throughout my talk. One of the people who attended the event, Edward Field, gave me a very thorough breakdown of my talk and how I could improve it from a content, style and theatrical viewpoint. Then earlier this week, Carole Spiers, who trains professional speakers, spent an hour with me and gifted me a thorough analysis and suggestions for improving. And all this simply because she wants to help with my growth. Ian ‘Maxi’ Jackson, Sabine Kohler and Ian Sumner were three friendly faces in the audience and I could really feel their positive vibes from the stage. And the highly creative and talented Sheetal Thaker jazzed up my presentation slides. It’s actually about being open and willing to ask for and then accept help from others. So the key is this – be open to receiving professional and personal help from others. People want to help you – you simply have to ask for help. Give them a chance to contribute to you. Of course, if you are really serious about being a professional speaker, then you should seriously consider working with a professional speaking coach such as Carole Spiers. And if you need any further inspiration or encouragement, look no further than the amazing Andy McMenemy who I met that weekend – he is the guy who ran 66 Ultra-Marathons (50Km / 31 miles) in 66 days! There are so many opportunities for you to improve your speaking and to get in front of an audience. For a start, check out Toastmasters – there’s bound to be a club local to you. This is a great way to get started with speaking in public in a supportive environment. Check out a few different clubs till you find one that really resonates with you. You might want to also consider joining your local debating society. As for other speaking and learning opportunities, ask around amongst your family, friends, work colleagues and other people in your community. Also put it out there on all your Social Media channels. Simply let everyone know that you are up for speaking in public. So many organisations such as clubs and even schools are always looking for interesting speakers who can add value to their members. Start with small audiences and soon you will rapidly build up your confidence and expertise to speak in front of a larger crowd. As you progress, you can consider joining up a professional group such as the Professional Speakers Association in the UK and the National Speakers Association in the USA. Find a similar organisation in your own country. No matter what, enjoy the experience and be prepared to learn from it. If you don’t enjoy it, why would you even do it? Prepare much more in advance. Practise and rehearse in front of a small audience a few times. Have more movement on the stage – as long as it was congruent with my message. Pause more between my key sentences. Have fewer slides and more spoken words. Switch off the projector if need be. Get more audience engagement with direct questions to them. These are all areas for me to work on before my next event. I started off by talking about talking about the fear of public speaking and how most people would rather die than be in front of a group of people. But by focussing on the bigger picture and your key message, you can overcome any fear! What are the principles YOU live your life by? What difference are you here to make in the world? What’s your BIG message for the world and when will you get it out there? You only have one life – are you ready to make it BIG? If you are remotely interested in speaking in public, I urge you to get started on your journey as soon as possible. If I can do it, you can do it too. To get you going, I suggest you go through the above key points again and get started today, no matter how small. Then do whatever is necessary for you to get your message out there – whether it’s through your speaking or also through your books. I want to do much more professional speaking and make a greater impact. So if you or anyone you know is looking for an inspirational speaker, please contact me. Of course I can tailor my talk to your requirements. If you would like coaching to make it happen in any area of your life, please contact me and we can discuss how we can work together. I have 3 different packages to suit your needs. Also, I am still open to taking on further coaching clients from the offer I made at the “Millionaire Author’s Bootcamp”. If you are interested in making a success of your book, then email me and request the slides from my presentation – we can then discuss the way forward. It’s high time you got your message out there! Now over to you! What wisdom can you share about public speaking? How can one become a better speaker? Please add your ideas and suggestions so that other readers can learn from you. Bookmarking this for reference because it’s such a huge resource Arvind! Thanks Sandi – glad you found this useful:-). 1) A burning passion for my subject (spiritual empowerment without woowoo stuff or the formality of religion) and a desire to use it to help others to excel quickly. 2) The importance of feeling happy as I speak because it ‘shows’ up in the voice. If I smile, even if only on the inside, it makes the tone of my speaking a lot lighter and more connective and makes me more attuned to entertaining as well as informing my audience. If a person is serious, suddenly he or she can seem like a school teacher – and that’s scary! People will glaze over and start to cross arms, when the object is to get them to open them to you. Public speaking is fun, but, rather than see it as a chore, a nervous person should look upon it as an opportunity to share the best of himself or herself while making a whole swathe of fabulous new friends. That will take a lot of the anxiety away. Looking forward to seeing you soon, Arvind! Thank you for this wonderfully informative article. Very uplifting post, Arvind! And a beautiful read. I am familiar with most of what you’ve written here and found it so enriching to read it again. About three years ago I ghost-wrote a book for a client about Public Speaking and this post reminded me of that. One thing I’ve noticed – while fear of public speaking (glassophobia sounds very delicate) comes a close second to fear of visiting the dentist, the funny thing is – many children start off not being shy in public. Invariably, it is their life’s experiences, how they’re treated that makes them withdraw. I’ve had the occasion of watching various children over the years – and in particular, 55 children, constantly over the last ten years (Vidur’s class from grade 1 – now they’re all in grade 10). It has been so interesting to watch some of them withdraw over the years, while some have bloomed. Some are unpredictable because their “boldness” depends on the occasion. But almost always – encouragement seems to work. Telling them they’re good, that I believe in them makes a difference. Building self-confidence and sweeping away self-doubt works. And what a lifelong gift that is! My Mother was a school teacher and always added a “talking class” to encourage the children to interact and speak. Thanks again for a valuable post – I could react to every point – but hey. The quotes are just wonderful! Vidya – thanks so much for your valuable feedback and personal insights. I have seen amongst my own nephews how they started off so confident in public when young – and then some of them have become “withdrawn”. It’s all about instilling confidence from a young age – your mother was clearly a very wise school teacher:-). And Vidya, I would love you to react to every point! I just want everyone to know, that although Arvind and I have only recently become friends, it is clear that his integrity shines through everything he does. He talks from the heart, and he keeps his word. I thought this was a brilliant post. As a person who stammers, I could resonate with this post. As you say, a number 1 fear for people in general is public speaking. For people who stammer, the fear is of doing any speaking! Joining public speaking groups helped me massively. What I love most about such environments is how supportive they are. We can all learn and grow our confidence in speaking with everyone cheering each other on. Hiten, good to see here again on my blog. Thanks for sharing your experience as someone who stammers – I can see how that could be result in fear of speaking at all. As I said in the article above, people REALLY do want to support you in succeeding. So often we just have to get out of our own way! This has blown me away! I started with my local Toastmasters a couple of months ago but they break for the summer. I only went to one meeting and I missed the remaining few as I needed to go into hospital. It starts again in September. Just the experience of being there inspired me more and convinced me this is something I want to do, and I can’t wait until it starts again and I get the chance to actually start speaking. Don’t get me wrong – I am in danger of ruining a reasonably good pair of jeans, lol. But there is an urge to do this. Your post above has now engraved it on my brain. That this is something I can change my life for the better. I think overcoming and mastering this fear is a gateway to freeing myself in so many other areas of my life. I spoke to a woman there and she said how it had changed her husband in so many ways outside of the official speaking forums. His confidence just in communicating with other people even at social events was totally different. Your points above were touching nerves with me all the way through the post, while at the same time firing synapses that excited me. I will be printing this out and reading it over whenever I feel necessary (which at the start will be a lot) as I embark on this journey. Great post about your public speaking experience. You’ve shared so many wonderful tips. This is definitely a post to refer back to. Thanks for sharing. Cathy, thanks. I am glad you found this post useful. I can fully relate to you and a lot of people. Though I am a normally loud person in small groups, I always get nervous when I get to speak in front of a large audience. Peter, somehow when having to speak in front of a large audience most of use lose our ability to be “loud” :-). Great post-some very real and fascinating insights about getting into the art of public speaking. By the way its good to hear from you- We must catch up soon as its nearly eight years since you did a presentation for me at one of my Diversity Forum meetings at Hampshire Fire and Rescue Service HQ. It’s so good to hear from you again all these years! I really enjoyed speaking to your group all that time ago – I remember feeling rather nervous before hand but you and your colleagues were so supportive:-). And thanks again for showing me around the Fire Station and letting me have a go on the “Fireman Pole” – I had a ball! Arvind….I have so many thoughts going through my mind after reading this. You have offered the best of all bests in blogging….your very personal story intertwined with the steps you suggest for those who want to be speakers. I agree with you about staring into another individual’s eyes for 3 minutes without wavering. It is about showing your vulnerability and staying present. Doing this exercise has the ability to propel you into another arena emotionally/soulfully. It can be a transformational eperience. I love your thoughts on being ‘authentically’ you and believing in yourself. A few years ago, I went to an International Faith Conference in Assisi, Italy. A few dozen of us…monks, nuns, sisters, buddhists, hindus, etc. were asked to offer a prayer for the group and the world. I was late for the conference, after losing a friend of mine on a train coming from Rome. I was totally wet and bedraggled. I had written perhaps 6 or 7 sentences….simple ones….from my heart. After listening to others prayers and contributions, I thought ‘OMG….in no way do I belong here’. WELL, when my name was called, and I was introduced as Reverend Fran Sorin, I walked into the center of the group, stood still, and then slowly turned in a circle, making eye contact with every single person in the room…sending them love and blessings. I took a breath, and although nervous, I said my prayer from a heartfelt place. When I was done, I went back to my seat and thought ‘OK, at least i made it through.’ After the invocation, several attendees came up to tell me that my prayer was simple, loving, and meaningful. I have consistently found throughout my years of speaking that yes, you certainly need to be prepared, but authenticity, an open heart, and passion are the keys to connecting to others. I am thrilled that you have taken this next step in your development as a speaker. Great tips on public speaking, Arvind! And congrats on the moving public speaking engagement! I remember my first time speaking in front of a class in high school (as a high school kid) and literally shaking and sweating throughout the whole 2 minute fumble. Now I get some butterflies just before going on, but feel very comfortable speaking to groups. The difference? Lots of what you wrote about here. Experience is key. But there’s so much that can be done to develop our speaking abilities along the way. For me, the most important was practice. When I’m in my car, I’m that crazy looking guy people see talking to himself. I have no idea how many mini-talks I’ve given to imagined audiences over the years as I’ve spoken in the privacy of my own vehicle. Arvind gave an excellent and highly insightful presentation at the MiIlionnaire’s Bootcamp. He has a style that is highly engaging and delivers with genuiness and sincerity. Here is a man who really wants to help you to write your book, get it published and onto the bookshelves. As a motivational speaker myself, I can tell you that his stories resonated with his audience and were highly evocative. Many people experience nerves when when they go onto the platform and one should not be ashamed of this. Be entertaining as you want to engage your audience. Dont talk too quickly – you want people to listen to every word you say and add pauses for emphasis. Maintain eye contact with your audience. Speak to the left hand side of the room, the right hand side and the middle. Tell stories: audience love a story but it has to have depth, meaning and reason to be telling it. Powerpoint – dont read from your slides. Sounds obvious but it is not! Not everyone wants to be on the platform but most of us want to make an impression – whether it on stage or in a business meeting. Either way, speaking skills are an essential inCarole everyone’s toolkit. Good luck and call me if you need any help to present more effectively. You’re a great guy and a great speaker, although you’re right that some of those at Millionaire Author Bootcamp, particularly Raymond Aaron, were beyond great, and had the audience, which they had in the palm of their hand, hanging on to their every word and literally falling about laughing in places. I’ve also bookmarked this post, and since you ask, here are my tips on speaking. – Have complete confidence. Do whatever it takes. The soul is more powerful than a million suns, so an audience shouldn’t be too much of a problem. – Have mentors, including, if you’re serious about speaking, a speaking mentor. – Watch ‘The King’s Speech’. Absolutely brilliant! – Have a message worth speaking. Read. Listen. Philosophise. It’s no good being the world’s greatest speaker if you have nothing to actually say. – Practice projecting your voice. A really talented speaker is not fazed by a broken mike. she simply raises his voice. There’s a namazing new speaking group started recently called Pony Express (see their group on Facebook). Currently just in London, if you are then check them out. They practice techniques taught by one of the very greats – Clinton Swaine. Wow. That was some article I just read, and that was a very interesting and uplifting experience. Congratulations to you! As Sandi said in her comment, there’s a lot of useful information here that’s worth bookmarking! Brilliant post Arvind. Thank you for sharing in so much detail. I look forward to hearing more about your public speaking engagements! Congratulations on a great honest and insightful post. I can share sincerely with you that as an audience member I would never have known that you were presenting on-stage to your largest audience ever. You came across with genuine authenticity and integrity, something that was lacking in one of the much more “accomplished speakers” I witnesses on that day. I’ll share with you a compliment that was paid to me in a testimonial after I presented at the Professional Speakers Association in the North East… this is exactly how you appeared to me as you shared your story and took us on your journey… “You were calm, collected, grounded, charming, inspirational and Talented”, well done on your first professional delivery. Speaking professionally is only a matter of practising the skills required in order to communicate effectively, but always retain your identity, share your character, and stand proud of who you are and where you have come from. Finally my friend, remember that when you are contacted to deliver a keynote, they want You because of your reputation. Inspire the Desire to Aspire! Thank you, Arvind, both for your presentation at the Millionaires Bootcamp for Authors, and for the personal mention. Everything you say in your blog above is accurate and inspiring. Over the past ten years or so I’ve ‘directed’ a huge number of speakers and presenters and world congresses and conferences working with the likes of major oil company CEOs and and ‘first time on the circuit’ college professors. Many of them are nervous, even after years of presenting, but when they stumble or feel they’ve failed it is usually for one simple reason: They are unprepared. Without wishing to repeat what you’ve said too much, I cannot underestimate the value and importance in rehearsing ALOUD to an audience as often as possible. For a start, our voices sound very different in our ears as opposed to in our heads; we generally speak too quickly and our emphasis doesn’t always come out they way we are hearing it internally. Only by presenting to our families, friends, the dog(!) do we hear and see ourselves properly as others hear and see us. I also strongly recommend recording a presentation, even if it is only on a phone, to gain a clearer view of how we come across. In terms of being nervous I remind my clients that everyone in the room has chosen to be there to listen and so they want to see them succeed. They don’t want to witness them trip up but are willing them on and are entirely supportive. And to help my clients overcome their nerves, I suggest they visualize their audience in a vulnerable position: either naked or sitting on the toilet with their trouser around their ankles. How can they possibly feel inferior or vulnerable on the stage if they can visualize their audience in such a situation? I hope those points can be of use to some of your clients and please shout again if I can be of assistance to you. You have a great message! Hi Arvind! Thank you so much for inspiring me by sharing your journey and your experience with public speaking. I really loved your presentation at The Millionaire Bootcamp for Authors and it was very clear that you are a lovely genuine guy with real authenticity and integrity and it was very touching to hear you speaking from the heart. I absolutely love this post and hearing all about your journey! It is very inspiring what you have achieved and I am very grateful for all the advice and tips you shared to help others overcome their fear of public speaking. I also let my fear of public speaking impact my life from a young age so I found your post super inspirational and motivating. Congratulations on everything you have achieved in life and wishing you lots more happiness and success for the future. You know, the fear of public speaking was probably one of the first fears I decided to overcome, back in high-school when I joined my high-school debate and public speaking club. Another brilliant post. Fabulous resource and I always enjoy how much you share of yourself. Am sure your career in speaking will take off massively! Good luck my friend. Thank you so much for your continuous oceans of love, inspiration and so much more. It was fantastic to hear you speak at the Bootcamp – your optimism was infectious and I’m glad for it! I look forward to reading your future posts, best wishes and thank you so much for everything! Cindy, it was so good to meet you at the Bootcamp! Thank you for all the wonderful tips. I especially like your advice on just being yourself. Being sincere and genuine will definitely make a bigger impact on your audience. I have bookmarked this page for future referencing. Corissa, welcome to my blog:-). I wish you too many impactful, authentic speaking gigs – may the force be with you! Brilliant post, as always! I am going to be pitching a product this weekend to top marketers in our area and I cannot begin to tell you how scared I am… even after reading this post. I’m going to follow your advice and sound as genuine as I could. I believe in the product I am going to present to them, so I only have the other points to worry about. Wish me luck! Karen, I hope your product pitch went really well! Don’t be afraid to learn the art of good public speaking. “All the great speakers were bad at first” the great American Essayist, Ralph W. Emerson once said it. By acquiring knowledge, the right tools, resources and experience, you too can enjoy the rewarding benefits of being an excellent public speaker.